OK, the Mayor resigned. Now what? As I reported earlier today, Mayor Ed Murray announced early this afternoon that he is resigning effective at 5:00pm Wednesday. Since that time, there has been a mad scramble, both by city officials and by reporters and pundits, to sort out what happens next. Mayor Ed Murray just announced that he is resigning, effective 5pm tomorrow. Council President Bruce Harrell will become acting Mayor, and has five days to decide whether to fill out the remainder of Murray’s term, which ends December 31st. Harrell’s decision is complicated. Here’s my previous post on why. More to come as events unravel. A week ago, Council member Lorena Gonzalez called on Mayor Ed Murray to step down in light of revelations of an Oregon CPS file in which a case worker found the sexual abuse charges against Murray to be credible. She later clarified her original statement, saying that the situation is unprecedented and she wants to make sure that the Council understands the procedures and protocols for continuity of government no matter what happens. 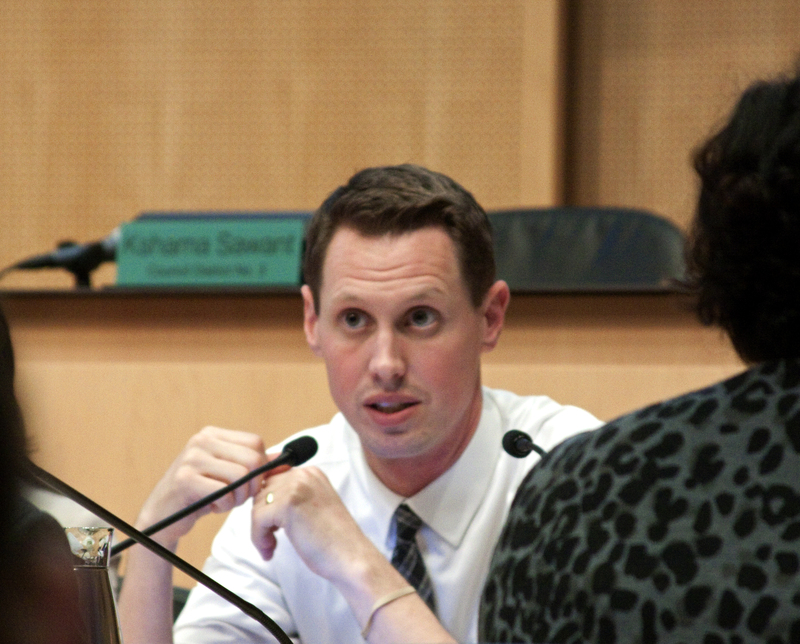 Last Friday, the Mayor responded to Gonzalez and her colleagues.